In the recent years, Indian trucking industry saw a huge turnover ratio in truck drivers and fleet owners. The trade is suffering from a serious shortage of skilled employees who can aid the future development of the trucking sector. According to a survey by Trak Business India - The Young population of India are the biggest constructive factor for the growth of Indian Economy. 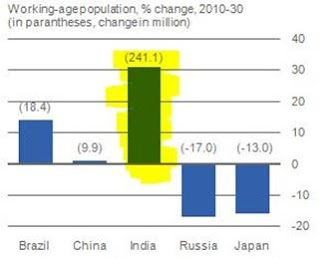 As per the survey calculations, India will add 241 Million people in working-age population between 2010-2030, which will impact not only economic growth prospects, but also savings and investment behavior and potentially the financial market. Youth certainly is not interested in taking up trucking industry as their career due to all the occupational hazards that come along with the occupation. While some youngsters are joining the logistics sector, few are still insecure about stepping into the trucking industry. The present youth who are keen on taking logistics as their career are very important in shaping the future, sustainability and stability of Indian Trucking Industry. In our country, nearly 80 % of the cargo is transported along the roads making trucks a very important part of the economy. Along with shortage of truck drivers, the industry is also facing a scarcity of talented youth who usually prefer high paying jobs in metros rather than building upon their truck company. Youth is undoubtedly important for the development of trucking industry. They store inside them the abilities to be prosperous entrepreneurs to lead the industry to a new age. To conclude, we have to understand the power of the youth. More importantly, the youth have to understand their own power, realize their potential, and be a part of the system to upsurge the growth of Indian Trucking Industry. I appreciate the post above, me myself have a great interest in taking logistics movement as my career. But the big question is how, without a support both financially and morally. I strongly think logistics will be of great hope, but the thing is that nobody is there to guide the youth and give them the support they require.